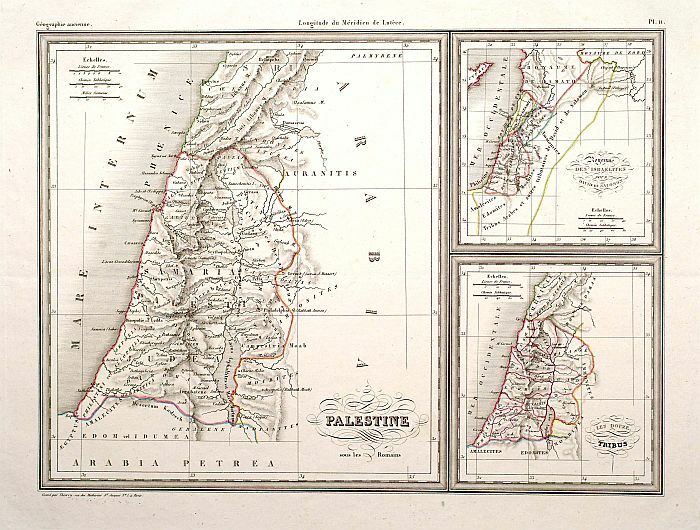 THIERRY - Palestine./ Royaume des Israelites sous David et Salomon.. Size : 8.7 x 11.7 inches. / 22.2 x 29.7 cm. Description :Three maps on one sheet of Holy Land during Roman times, during David and Salomon and one divided into 12 tribes. Engraved by Thierry, rue des Mathurins St.Jacques No.1, Paris. From: Géographie ancienne.